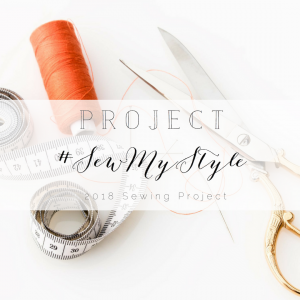 I am very excited to be part of the leadership team for the #SewMyStyle challenge for 2018. We have been working hard behind the scenes to confirm the schedule, patterns and prizes. Jessica Lorraine is heading up this year’s initiative and all of the details can be found over on her blog. Each month of 2018, we will have a specific pattern that we will be featuring. The aim of the challenge is to end the year with a lovely capsule wardrobe of handmade clothes. The leadership team will be writing guest blog posts and hints and tips throughout each month. We have picked some absolutely stunning patterns, which I think you will all be really pleased with. I know I can’t wait to get started on them. 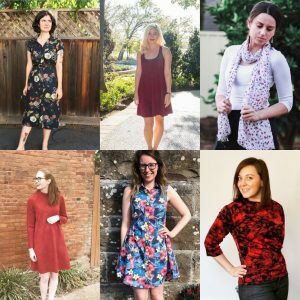 As a participant, you will get a discount for all of the featured patterns – so it is definitely worth signing up, especially as it doesn’t cost you a thing! You can sign up at any time during the year, but those who sign up early, will get to see the schedule! You just need to be signed up by the 20th of the previous month to receive the discount codes. 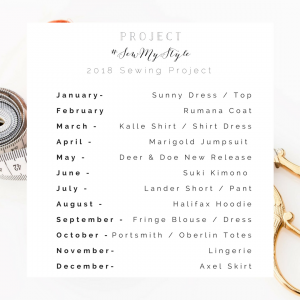 We have taken on board feedback from the 2017 #SewMyStyle challenge and hope you will agree that the changes we have made for 2018 are really positive. You can find out all about #SewMyStyle and how to sign up, here and please join in on the fun! I will be sharing all of my makes here and over on my YouTube channel, as we go along! Excited to be on the leadership team with you. This is going to be such a fun year! I am very excited to be a part of this project! I signed up in December and I have been waiting to receive the coupon code for the first pattern. When will it be sent? Hi, sorry, only just seen this message – have you contacted Jessica Lorraine, who is running the challenge? She will be able to sort out the code for you.